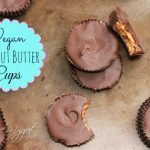 Looking for some Vegan Peanut Butter Cups? Look no further! 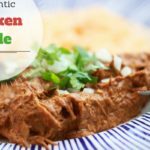 This recipe has only 3 ingredients and tastes like the real thing! 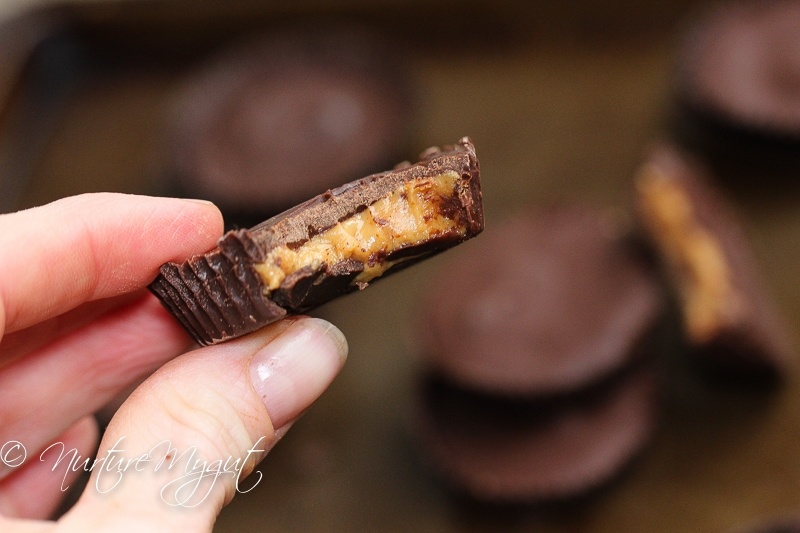 Oh yes, my husband said these are pretty close to Reese’s Peanut Butter Cups..but these are dairy free! Yay! It’s so easy a kid can do it! Mine did! See below for this simple step by step tutorial. First, you will want to melt a 10 ounce bag of vegan chocolate chips. I use Enjoy Life Semi-Sweet Mini Chocolate Chips. 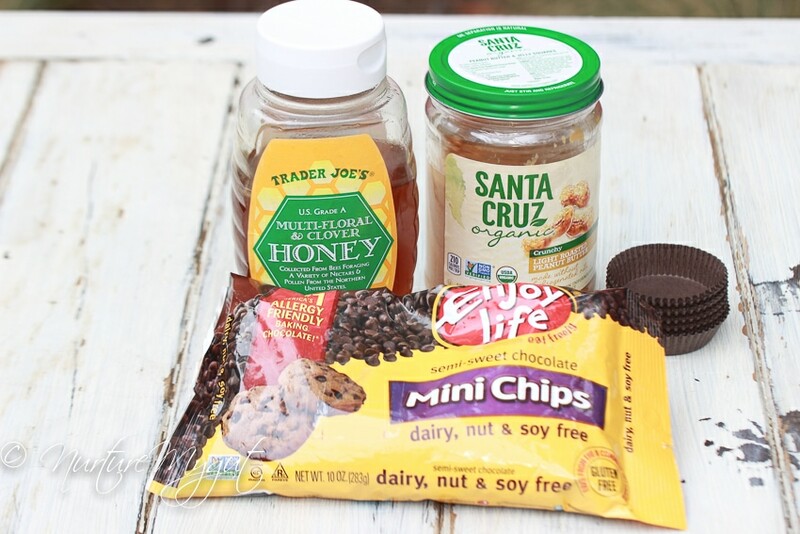 Next, you will blend together 3 Tablespoons of honey with a little less than 1 cup of peanut butter. I used Santa Cruz Organic Crunchy Light Roasted Peanut Butter. To be exact, measure 1 cup of peanut butter and scoop out 4 teaspoons. 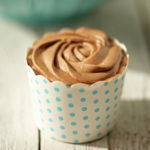 Next, scoop a teaspoon of melted chocolate into your cupcake liners. 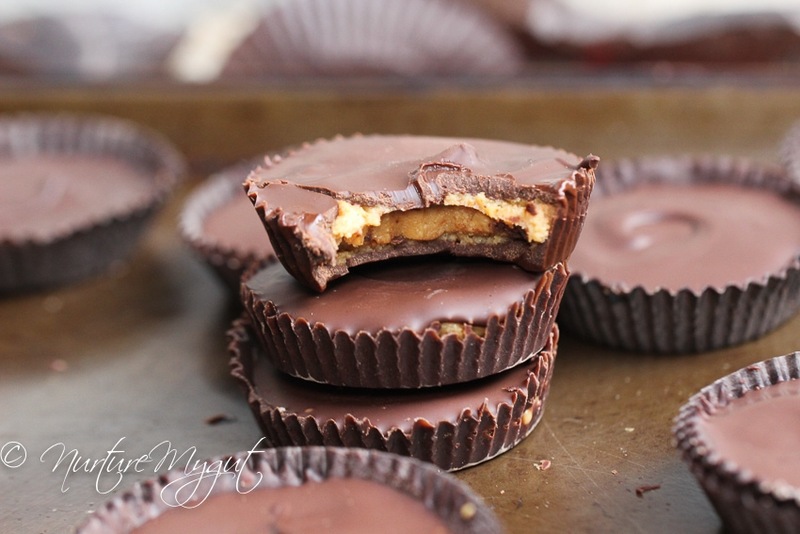 Be sure to use two liners for each Vegan Peanut Butter Cup. I get my cupcake liners from Jane’s Cake & Chocolate Supply. They have dark brown or white liners. I had a hard time finding these online, you can call them directly and ask for cupcake liners for homemade peanut butter cups. You can also fill regular cupcake liners halfway. 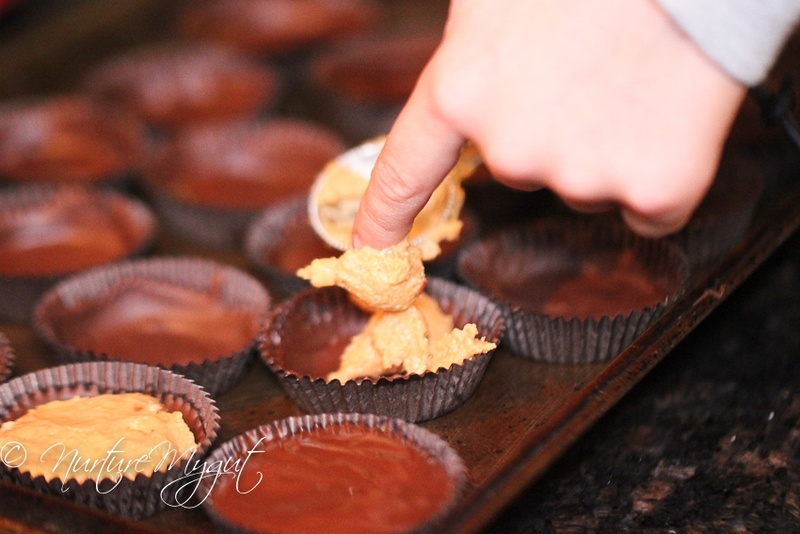 Then, use a small spoon or your finger to spread the melted chocolate across the bottom and the sides of your cupcake liner. 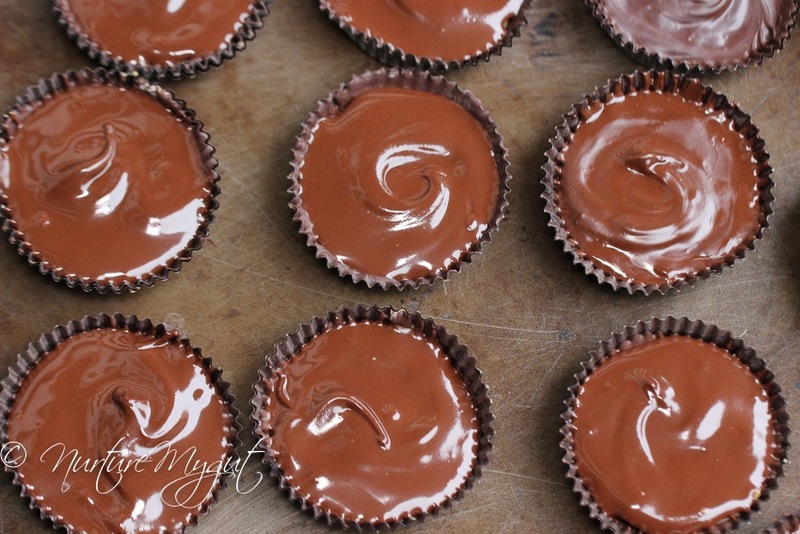 This will ensure that your Vegan Peanut Butter Cups have a chocolate outer layer and the peanut butter is hiding inside. 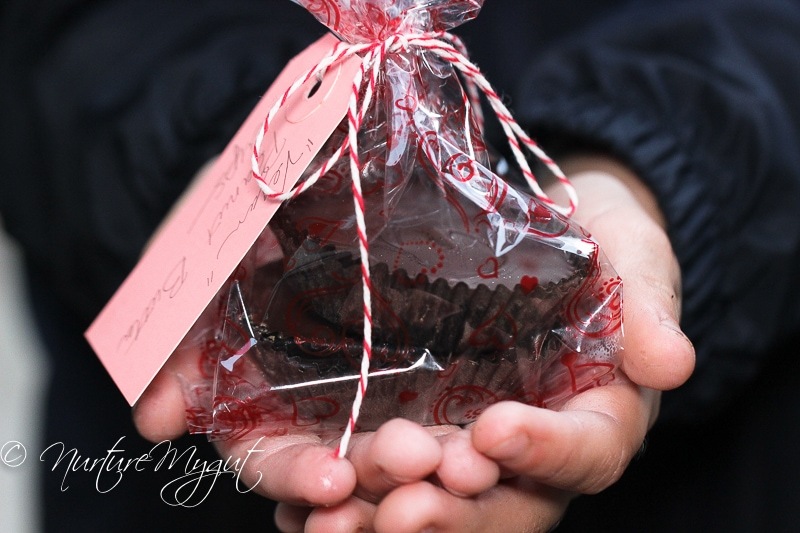 Place all your chocolate coated wrappers on a cookie sheet in the fridge for 2 minutes or until set. 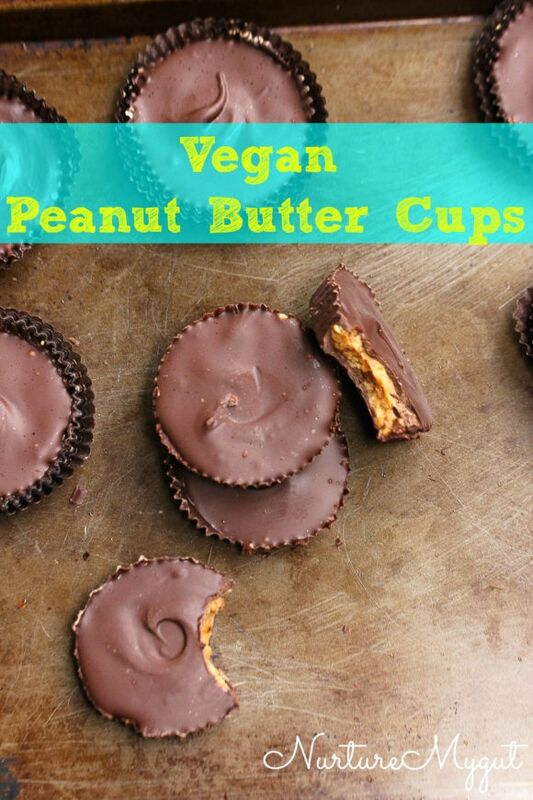 You will get approximately 20 Vegan Peanut Butter Cups. 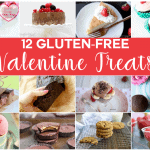 After your chocolate is set, remove from the fridge and fill each chocolate coated wrapper with 2 level teaspoons of your peanut butter mixture. Press the peanut butter down with your fingers. 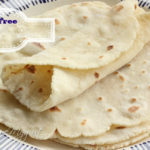 If the peanut butter sticks to your fingers, wash your fingers and start again or gently dampen your fingers with water. Next, you will pour one teaspoon of melted chocolate over each cup. 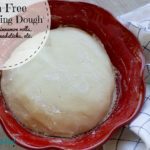 Smooth the surface with your finger or the back of a small spoon. I think a finger works best! 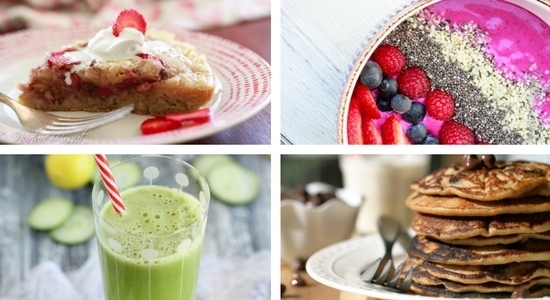 Make a pretty swirl to finish off. Place in the fridge for 15-20 minutes or until set. Once the Vegan Peanut Butter Cups are set, you will see the design. If you made a little swirl, it will look very pretty. See photo above. 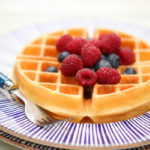 For heaven’s sake, take a bite! I did! 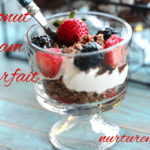 Enjoy the fruits of your labor! The remainder Vegan Peanut Butter Cups should be stored in a sealed container in the fridge. Nevertheless, I don’t think they will be in there too long! 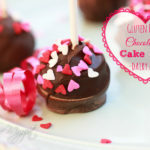 I think these are the perfect homemade Valentine’s Gift for someone who is allergic to dairy. 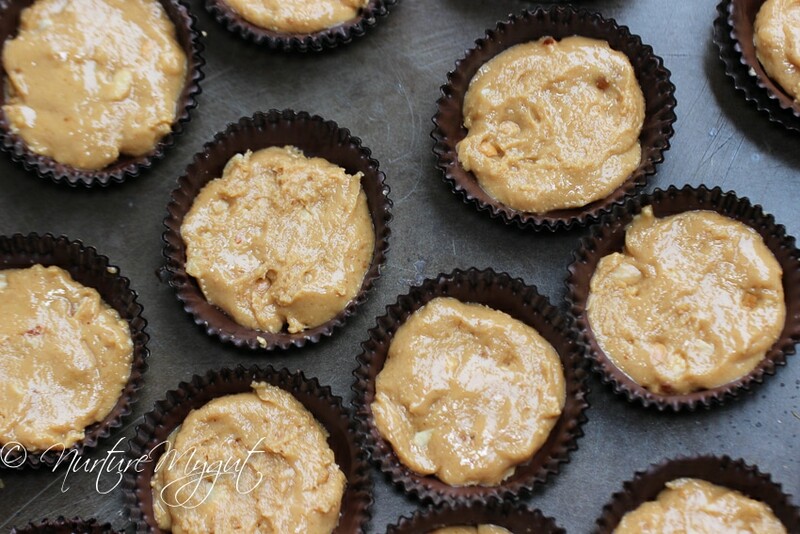 If you have a friend who is allergic to nuts, you can make these with sunflower seed butter. You can see how the outside layer is coated with chocolate while the peanut butter sneaks out form the inside. I am dropping these off at my friends porch tomorrow. She is gluten free and dairy free. I think she will be pleasantly surprised! Oh how I will treasure this picture with my son’s precious hands! He was such a good helper with this recipe! I am so blessed that they love to help in the kitchen! 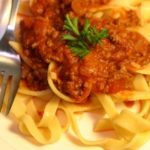 Be sure to make this recipe, and if you have kids, get them involved. Cooking with your kids will make a difference in their lives that will last a lifetime. 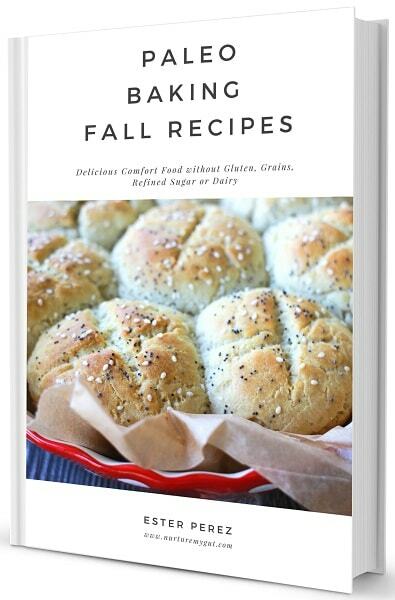 Please share in the comments below after you make this recipe. I love to hearing from you! Also, please share this recipe with your community. 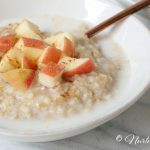 If you have friends that are vegan, or have gluten or dairy allergies, they would be very grateful to get this recipe! Many thanks!!! 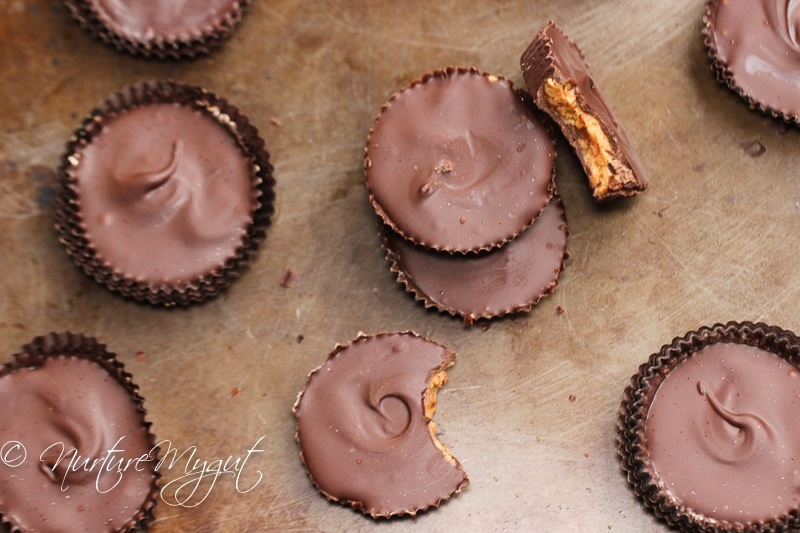 Peanut Butter Cups? Look no further! 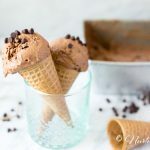 This recipe has only 3 ingredients and tastes like the real thing! 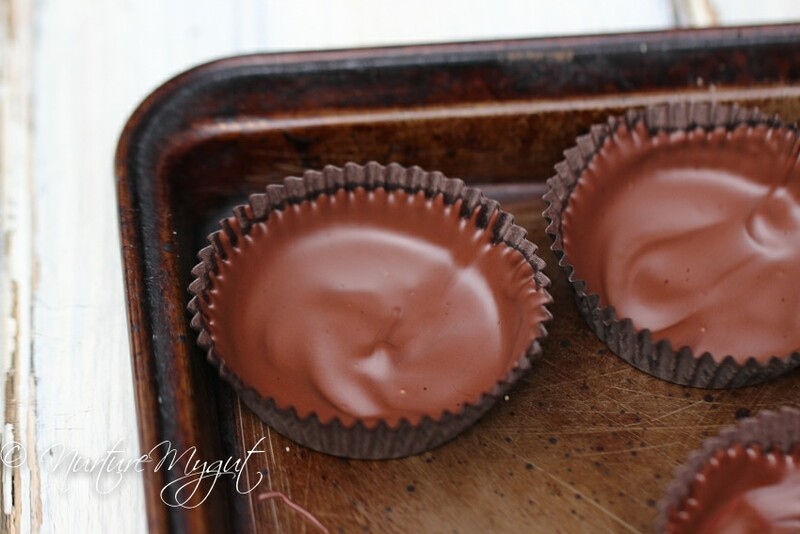 Oh yes, my husband said these are pretty close to Reese’s Peanut Butter Cups..but these are dairy free! 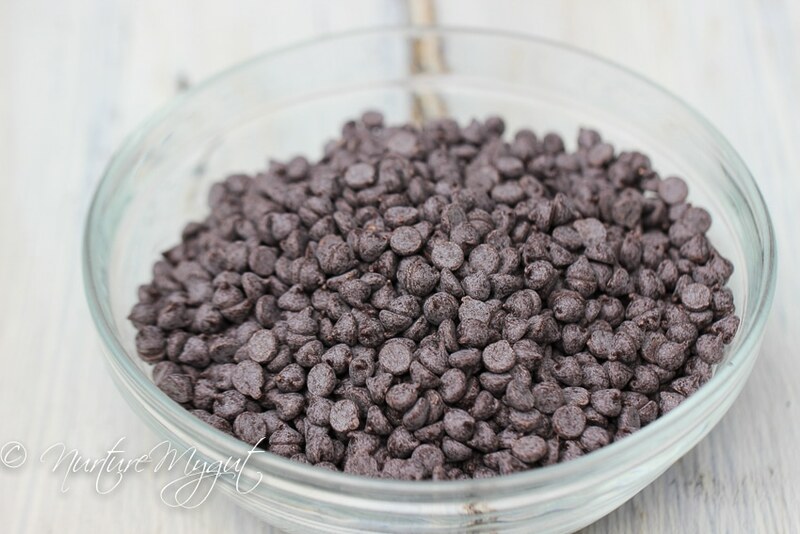 Place chocolate chips in a small saucepan on low heat. Stir occasionally with a spatula until fully melted. Remove from heat. 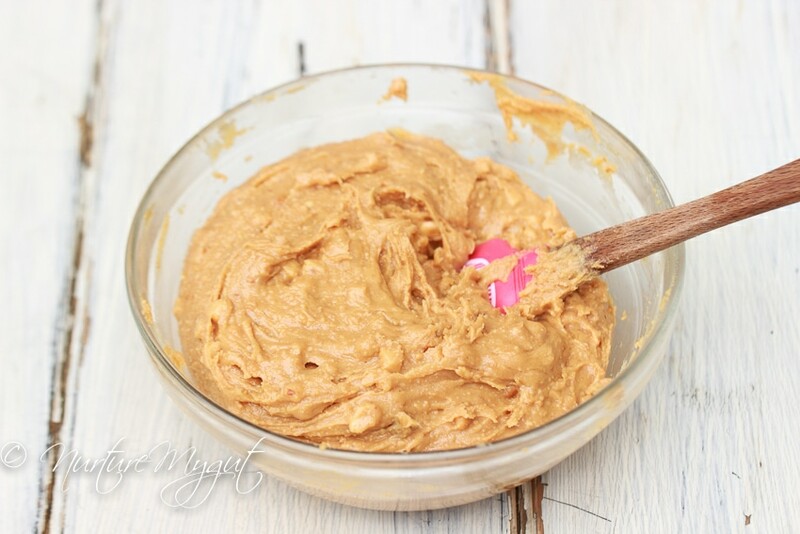 In a small bowl, stir together peanut butter and honey. Place 20 double lined cupcake wrappers on a cookie sheet. One at a time, scoop 1 teaspoon of melted chocolate into each wrapper. 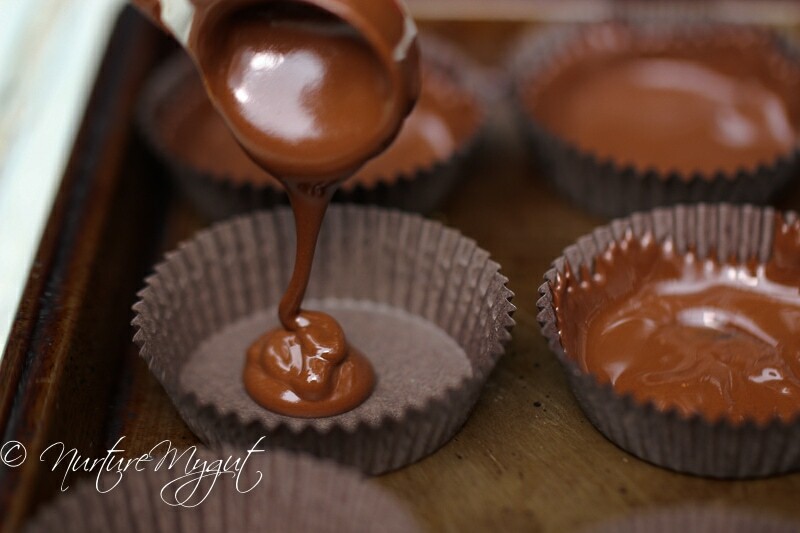 With your finger or a small spoon, spread chocolate over the sides and bottom of wrapper. Repeat with remaining 19 wrappers. You will have 20 chocolate cups. 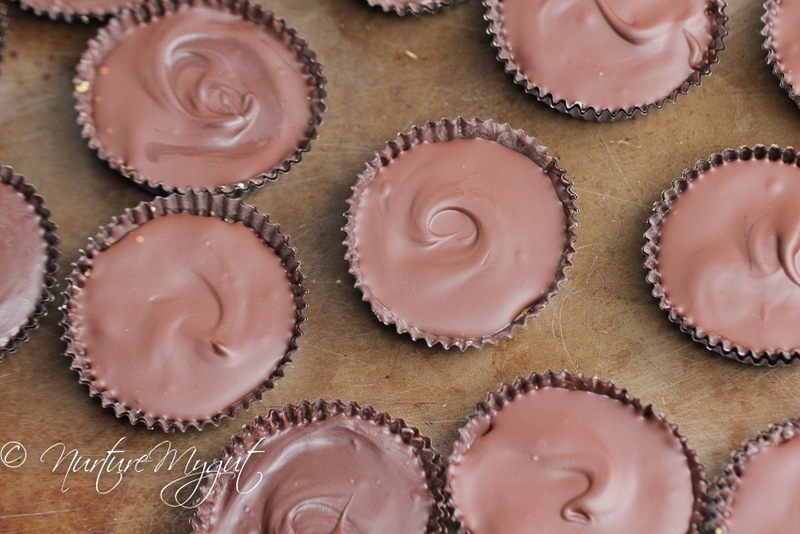 Place your cookie sheet with 20 chocolate cups in the fridge until set, about 2-5 minutes. 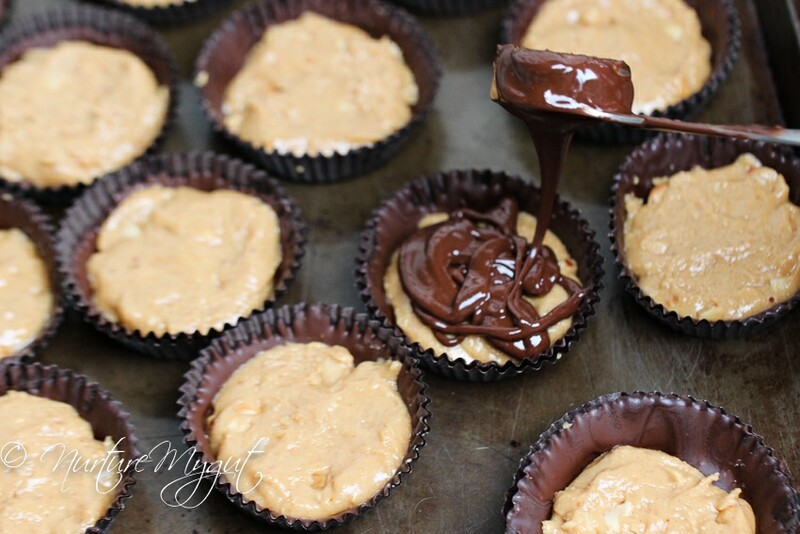 Remove chocolate cups from fridge and scoop 2 level teaspoons of peanut butter mixture into each cup. Gently press peanut butter down with fingers. 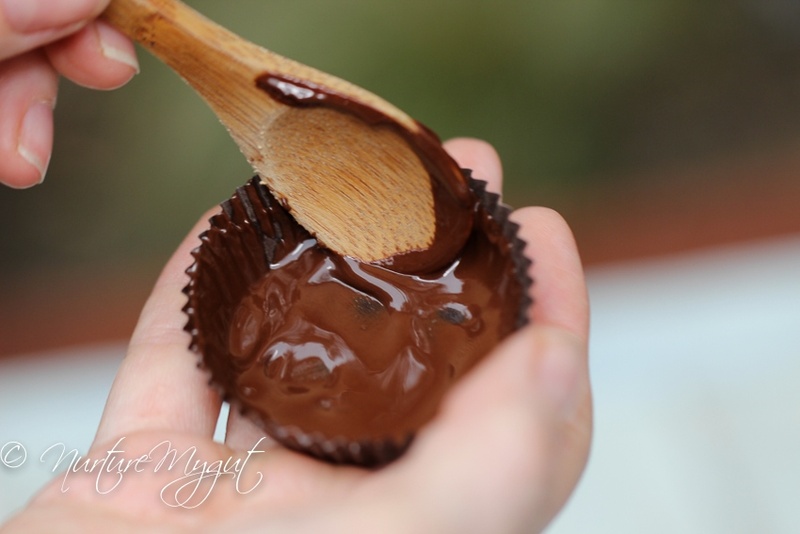 Scoop a teaspoon of melted chocolate over each cup and spread evenly with a finger. Finish off with a swirl. Repeat with remaining 19 cups. 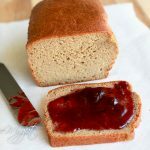 Place in the fridge for 15-20 minutes or until set. 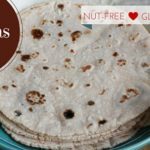 Remove from fridge and serve or store in a sealed container. I don’t think they are vegan if honey is used. But still look delicious!